These are fabulous! 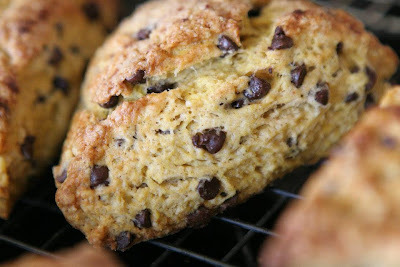 Like most of the bread photos on my two blogs, Dave made these great little flaky, sweet scones. The recipe is from the King Arthur Flour website with the alternative of using miniature chocolate chips in the place of the crystallized ginger. SO GOOD, especially with black tea or coffee.